8 Frozen Square Plates of 9 inch. 8 Frozen Square Plates of 7 inch. 8 Frozen Cups of 9oz. 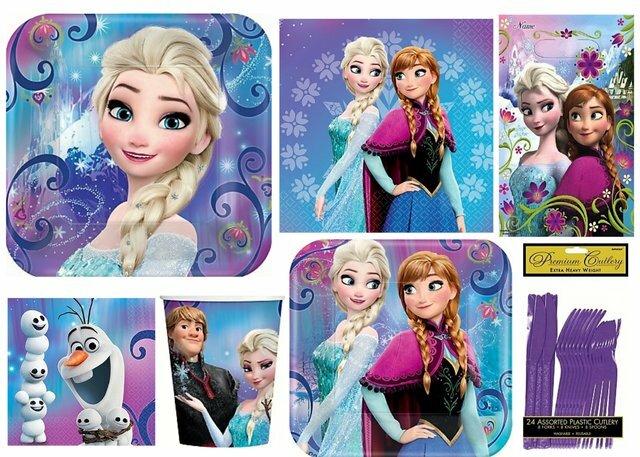 8 Frozen Plastic Loot Bags, each measuring 6 1/2 inch x 9 inch. 1 Purple Premium Heavy Weight Assorted Cutlery 24ct (8 spoons, 8 forks and 8 knives).